Attention to dental hygiene dates all the way back to 3500 BCE with the Chew Stick in Egypt and Babylonia. Centuries later, we have seen tremendous advances in the dental hygiene industry. 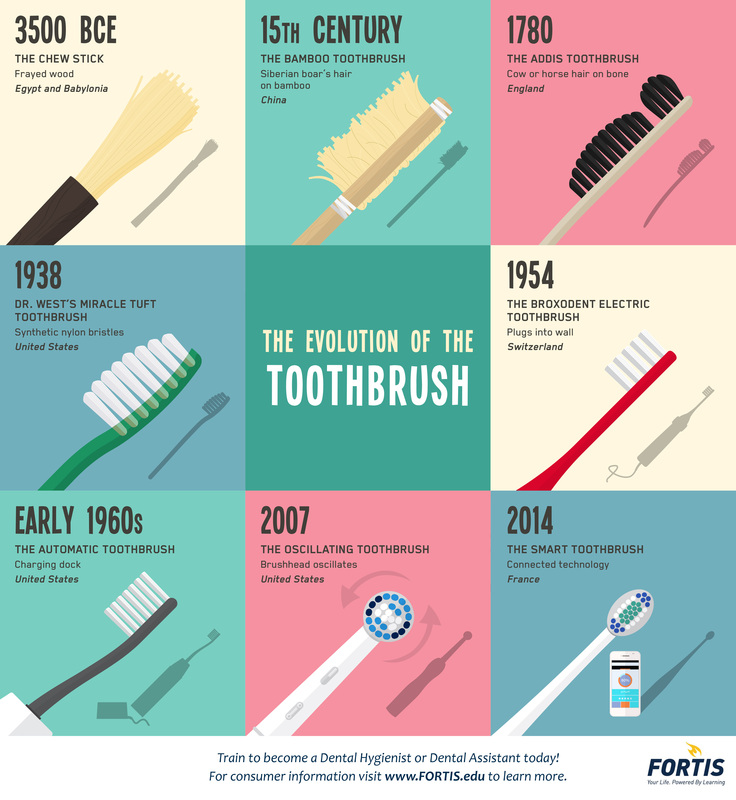 Check out this Evolution of the Toothbrush by Fortis to understand the incredible transformation of the dental hygiene industry from 3500 BCE until today.